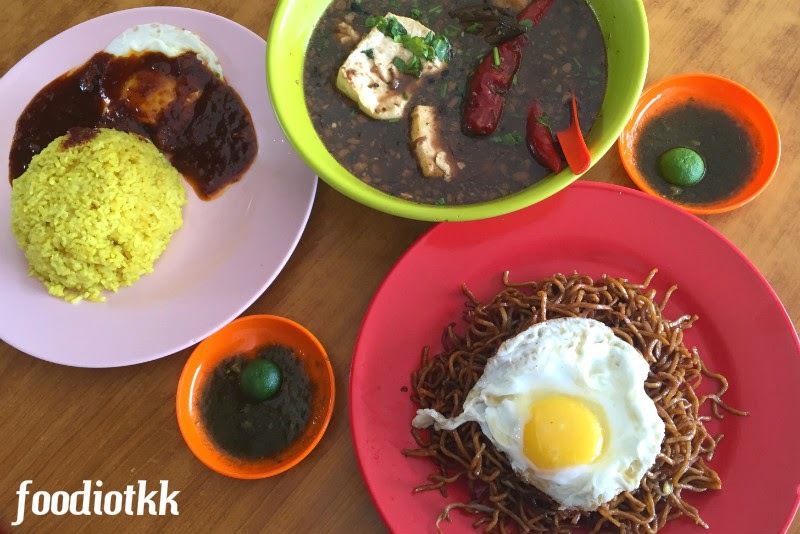 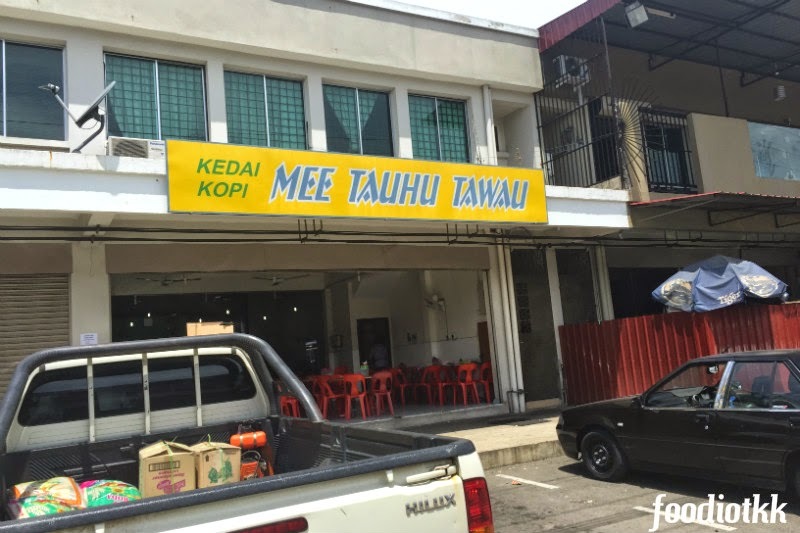 When talking about Tawau's signature food, one shouldn't be excluded from the "yummy list" is the Mee Tauhu. 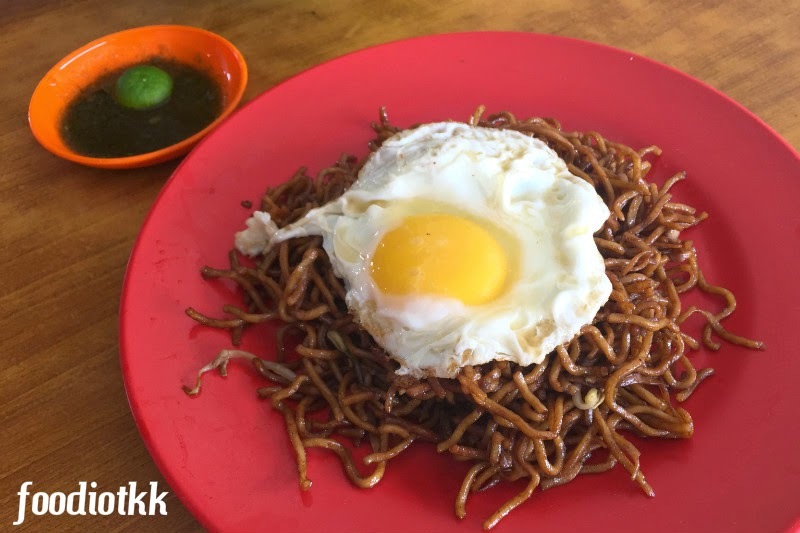 To get you right, this Mee Tauhu is Halal, being started by Muslim hawker and continue to gain its status as the Sabah town's famous food. 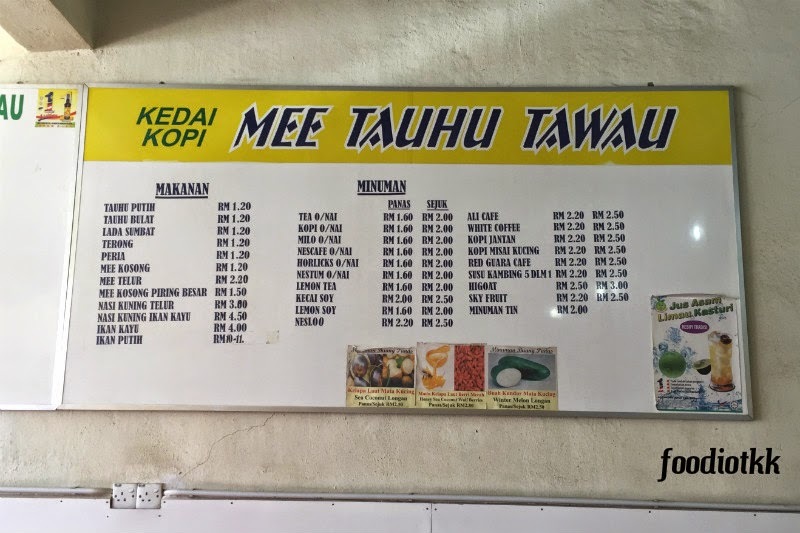 There are many shops in Tawau selling Mee Tauhu (and these shops don't sell other food except Mee Tauhu), some of them are relatives or previously work at the famous Mee Tauhu shop and left to start their own. 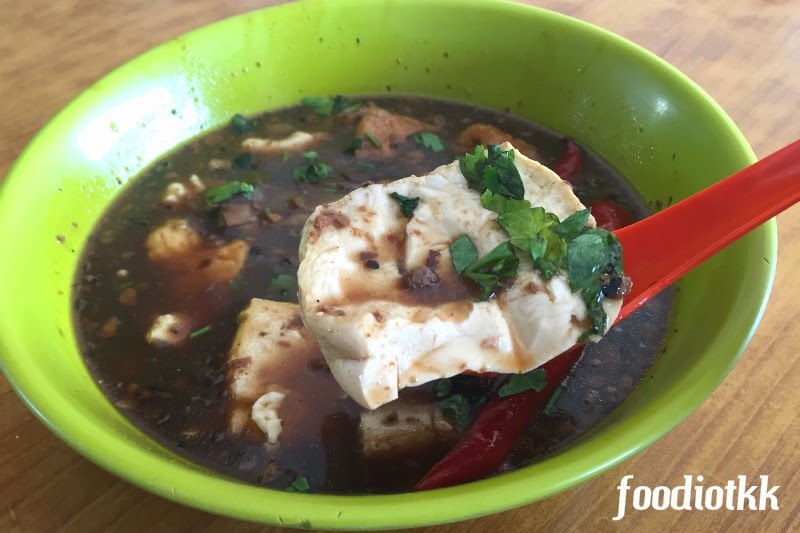 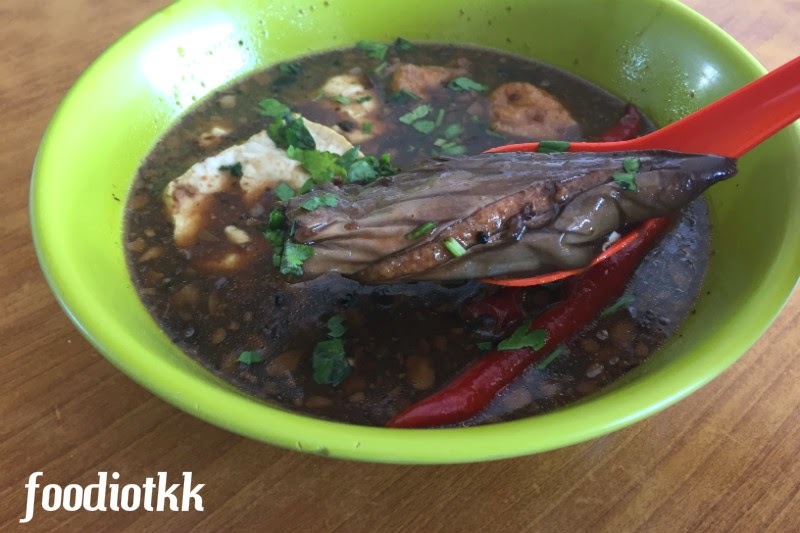 Mee Tauhu is like "Yong Tauhu" in West Malaysia, where the beancurd (tofu) and other ingredients such as bitter gourd, okra, tofu skin and egg plant, sliced, then stuffed with fish paste. 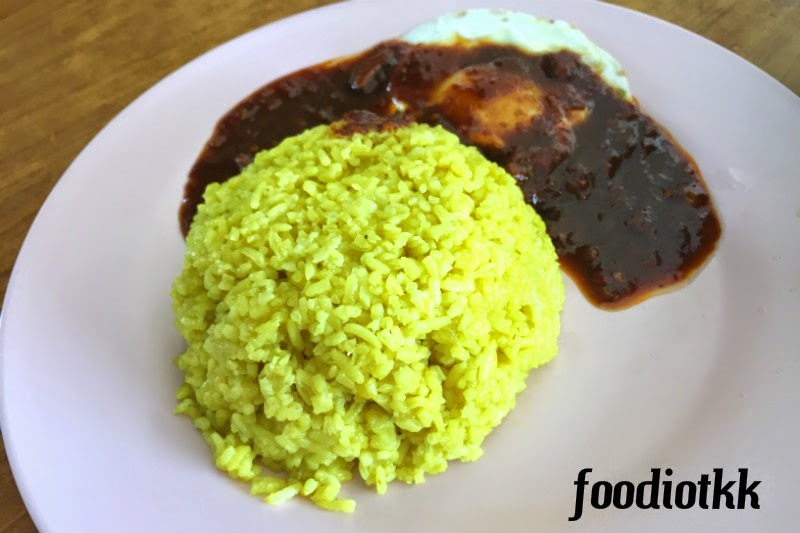 As the name suggest, people eat the stuffed tofu with noodle, but you can have it with Nasi Kuning or plain rice.